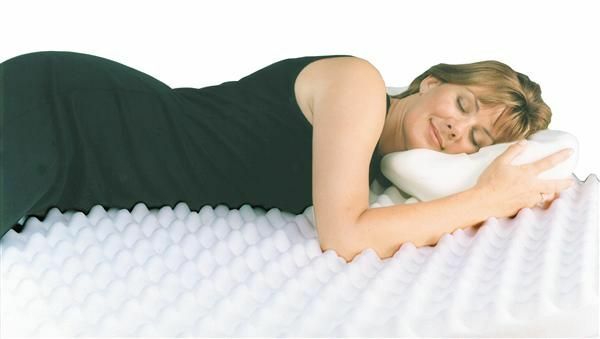 Ripple Mattress Topper For Improved Sleeping Comfort. 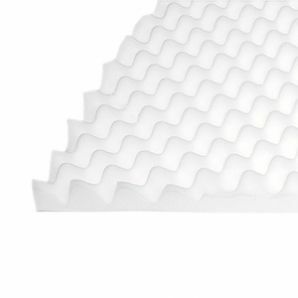 This ripple pressure relief mattress topper is one of our simplest and cheapest options for improving sleeping comfort and reducing pressure problems. The soft ripples spread pressure evenly and help make sure you won't feel any uncomfortable pressure hotspots. The design also allows for excellent air circulation, which means even more comfort, and the foam is of the highest quality. A pressure relieving mattress topper couldn't be easier to use. Just put it over the top of your normal mattress, make the bed with everyday sheets over the top, and breathe a sigh of relief next time you lie down.